How to upgrade your subscription from one plan to another. You can upgrade your plan at any point during your subscription. Navigate to the 'Account' tab. 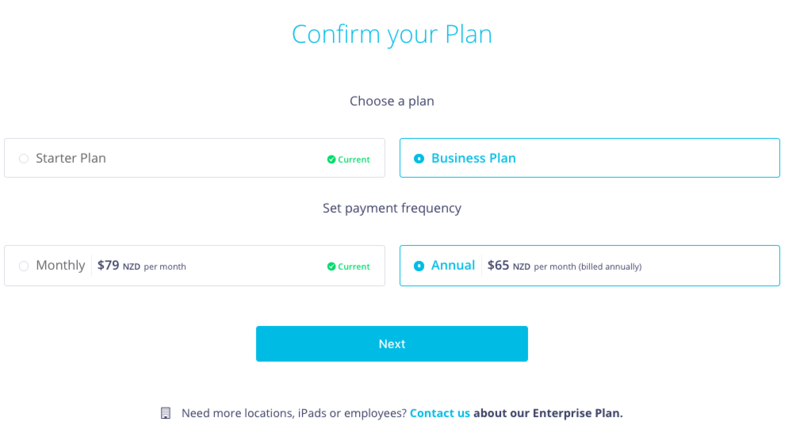 Click on the 'Change Plans' option. Click on the Business Plan to upgrade from the Starter Plan. Confirm the payment frequency, either Monthly or Annual. Click on 'Next' at the end of the page. 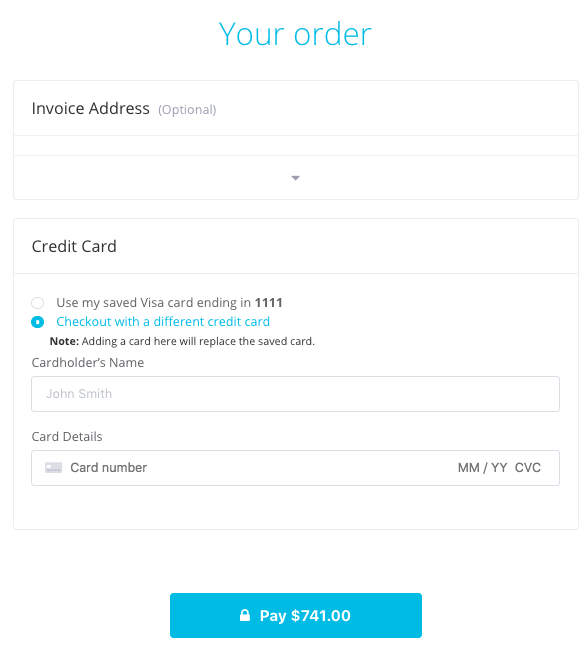 Select the current card used for payment or select another card to pay with. Click 'Pay' to process the upgrade. If you wish to upgrade to an Enterprise Plan, please get in touch with us here or use the live chat bubble at the bottom right-hand-side of this page the plan can be configured. Once the Enterprise Plan has been configured it can be activated it at any time. SwipedOn will automatically pro-rate any remaining credit from your current subscription any apply this credit to your current account n during the transaction to activate the new plan. Your subscription's re-occurring payment date is then re-configured to be in line with the date that the upgrade occurred. For more information on SwipedOn's plan's, click here.